« An update on those chairs! I am finally caught up with my quilting bee blocks! I was way behind, but we don’t need to talk about that. I wanted to share the August block. It was for Sam, and she asked us to do valentine’s inspired blocks. All the fabric used was hers except the white. This is what I came up with. I knew that Sam wanted the blocks to be 12.5 inch squares, so I cut out a piece of packing paper in that size and drew a heart in the middle of it. 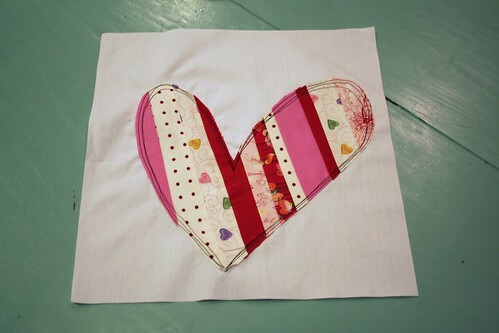 Then, I cut out the heart and used the idea behind Ashley’s String Block but with the heart. When I had it all covered, I cut it out, tore the paper off the back, raw-edge appliqued it onto a piece of white Kona cotton. Unless your offer doesn’t convert then of course you will loose money. Lesson #3 Do not join too many affiliate or network marketing programs.